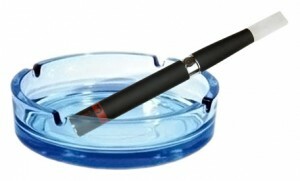 By now, everyone has heard of the new rage that is sweeping Australia– e-cigarettes. However, not many will understand why so many people have switched to e-cigarettes in Australia. With the wide variety of e-juices available to enhance the smoking experience, it is no wonder why people have changed to such a superior product. If you love a nice warm weather fruit experience, why not liven up your e-cigarette experience with mango flavoured e-juice for e-cigarettes? Mango is a rich tropical flavour and it will remind you of childhood summer days with tropical fruit salads and tasty mango smoothness. Can there be another better way to enjoy the taste of Mangos than in an e-cigarette? Another reason so many people are switching to e cigarettes with nicotine in Australia is that they can get the energy that they need in one simple puff. Flavoured like a favourite energy drink, you can enjoy the sweet citrus flavour when you buy an e-liquid for e-cigarettes with red bull energy flavouring. It will kick-start your day and help prepare you to work. There is nothing better in this world than the sweet and flavourful kick to your smoking experience with rum. With e-juice for e-cigarettes, you can add in the adult flavour of rum to your smoking experience to ensure that you get that extra something. Rum-flavoured e-liquid will take the experience of a drink and a cigarette to the next level through convenience. If rum isn’t your favourite type of drink maybe you’ll enjoy whisky. What’s great about whisky is that it has its own unique smooth taste, which goes nicely as an inhaled experience. The delicious flavourful taste is one reason you should switch to e-cigarettes. In Australia you can’t find a traditional cigarette flavoured with whisky. Rather than consuming all that alcohol why not combine your two favourite things and buy e-liquid for e-cigarettes with whiskey flavouring. It’ll make anyone a little frisky. Everyone loves the taste of honey. When people want to define a land of wonder they always describe it as a land of milk and honey. Honey is sweet and flavours the smoking experience well. When you smoke an e-cigarette, you’ll feel the scent melt into your mouth as you inhale the rich vapours. The great thing about all these different flavours is that they are all available in nicotine free e-juice. The availability of nicotine free e-liquids will further enhance your smoking experience by letting you customize your e-cigarette experience.